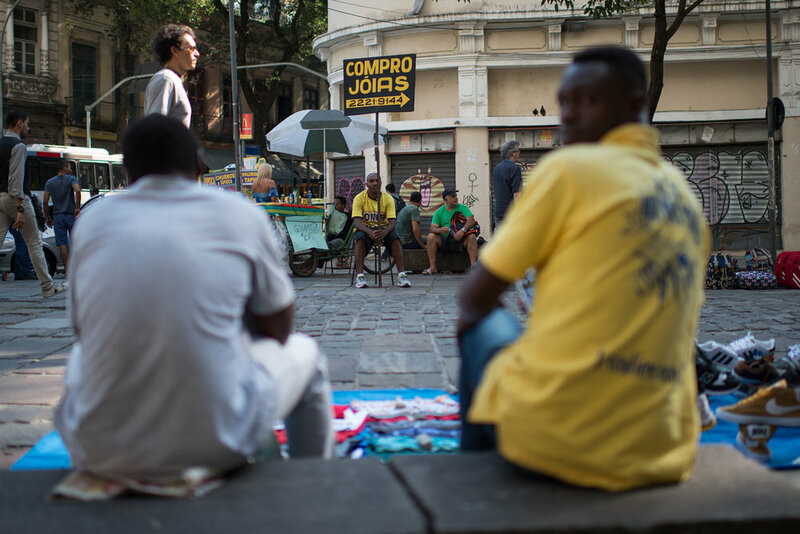 My latest job was published today on UOL: Rio has more than 1 million people unemployed. The article, wrote by Carolina Farias, is in Portuguese. I did portraits of Tatiana and Alexandre, two cariocas in this difficult situation. Tatiana Cristina da Silva, 34 years old, is a single mother with three kids and without a job since 2013. 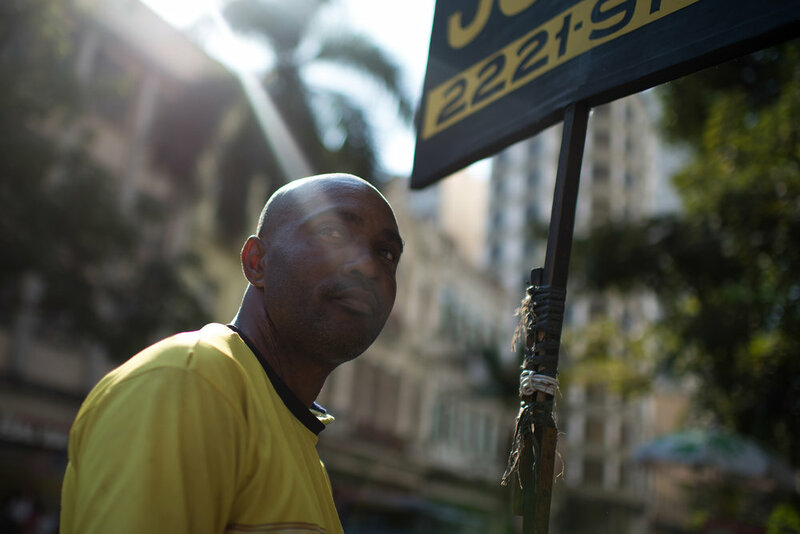 And Alexandre Silva, 42 years old, never had a regular job and nowadays works in downtown Rio for a store that sells jewelry -- he earns 50 reais a day. Update: A man who had seen the article and the pictures sent me an email asking for Tatiana’s contact. She then told me that he gave her money to help the kids and herself!